2-year-old Abhishek is a cheerful and brilliant boy. He was diagnosed with tuberculosis in his brain last year. Unfortunately, he developed drug-induced liver injury and is in a critical condition. 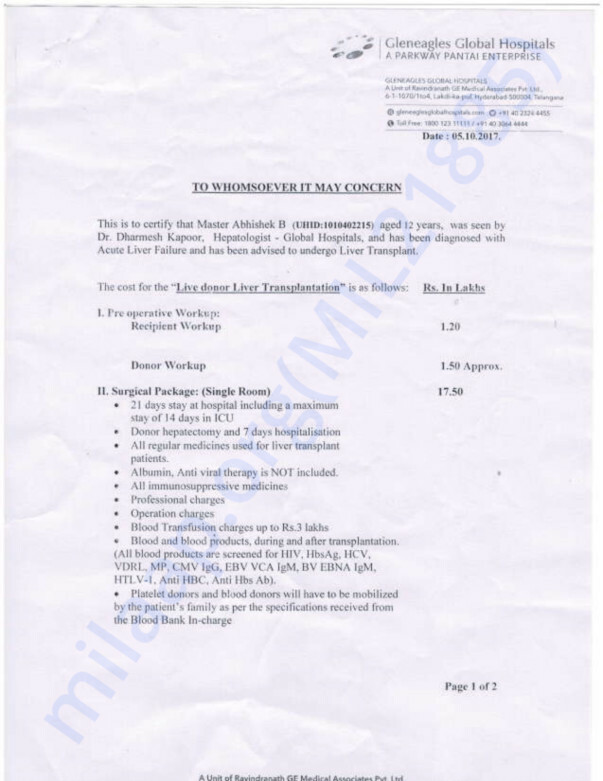 He needs an emergency liver transplant without which, Abhishek will lose his life. 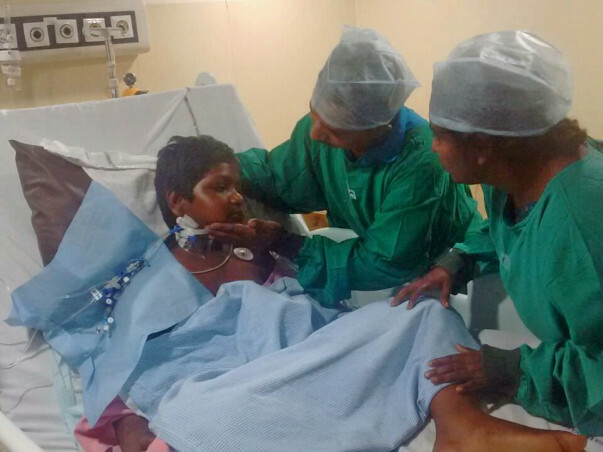 For such a young boy, the risk of not undergoing the transplant are severe. Abhishek’s condition is getting worse by the day and he is in the ICU. Their bills are amounting to over a lakh per day, but this family is unable to afford even a decent meal. Abhishek needs a liver transplant within 48 hours to survive this condition. Vijayakumari has been found to be a match for a donor. However, the family is now running around to arrange for funds. His concerned parents are willing to do everything it takes to save their son but unfortunately, the parents only have a monthly income of 5000 INR and do not have the funds required for his treatment which is 20 lakhs. Abhishek's parents need our help to save their son. Please donate to raise funds for the transplant so that young Abhishek can get the treatment he deserves. It gives me immense pleasure in informing you all that Abhishek underwent the liver transplant and is currently doing well. He needs to go for regular checkups and will be on medication for the rest of his life to support his surgery and keep him stable. His vitals are normal and he is responding well to the medication. Thank you everyone. Thank you for all the love and support you have shown Abhishek so far. Based on his health the doctors suggested that he should undergo a liver transplant right away. The transplant procedure was performed last night. He is in the ICU at present under observation. His mother donated a part of her liver to him and is doing better now. He will continue to be in the ICU for the next couple of weeks in order to completely recover. Thank you all once again for the support. Please do pray for his health to recover faster. God Bless my child ! Pray that you get well soon!